Sam was born & spent most of his childhood living in landlocked Berkshire before, at the age of 11, his family decided to move down to Swanage, in Dorset. Sam then spent his teenage years growing up by the sea and after initially sailing for fun at his local sailing club, he soon got into racing and competed in his first national competition in 2011. His progression through the sport was swift and by 2012 he was representing his country at international events. Since that moment he has been hooked on sailing and trains and competes nationally and internationally throughout the year. His relentless determination and focus has meant that he has quickly established himself as one of the best sailors of his age in the country. As well as his passion for sailing Sam is also a very technical guy and was lucky enough to be selected to work at Microsoft UK aged just 18 years old. Working in a massive multi-national company he learnt so much and had some incredible experiences which he will never forget. Now turned to professional sailing, he has an unbreakable dream to represent Great Britain at the Tokyo 2020 Olympic Games in the men's Olympic singlehanded dinghy, the Laser. Sam sails the Laser dinghy, the Men’s Olympic singlehanded dinghy. It is a very competitive and tactical boat to sail, challenging both mentally and physically. The boat is a one design class, meaning that every boat is the same and therefore the best sailor is the one who wins. In most conditions the boat requires power, endurance and strength to achieve the maximum speed possible, hence why the best Laser sailors are some of the strongest and fittest athletes at the Games. The Laser, men's Olympic singlehanded dinghy and one of the most popular racing dinghies in the world. Interested in finding out how you can help Sam or donating to help him buy a new boat? Follow the link below. 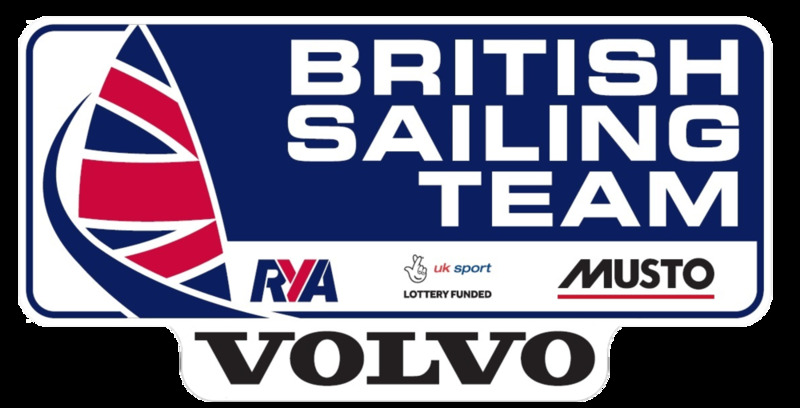 Sam is currently in the British Sailing Team P3 squad, the first level of the British Sailing Team. With his burning ambition to one day represent Great Britain at the Olympics he is only part way through his journey to reach the top. Whilst the next few steps for Sam will undoubtabley be the hardest, with passion, determination and careful planning he believes that this goal is perfectly achievable and that he one day could go to the Olympics. My dad sailed round the world which definitely inspired me to learn how to sail! My brother and I shared a Pico which we used to sail around in thinking we were incredibly cool. It’s an awesome way to keep mentally and physically fit and the connection between you, the boat and the environment is awe-inspiring. What keeps you going when you're on the limit? The short term pain is making me a better person in the long run. Sailing teaches you so many life skills which you can use on and off of the water. How to think under pressure, how hard work pays off, good time management skills, budgeting, risk taking, leadership as well as much more. I would have to say my hometown, Swanage. I’ve sailed there for a long time now but always puts a big smile on my face! Probably some crazy computer programmer making hit games like Flappy Bird haha. Fitness, windsurfing, surfing, exploring, travelling, computer programming, design, stock trading. Ben Ainslie once ran over my sandcastle with his boat when he pulled into a beach whilst on holiday in the Caribbean aged 10! Designed and built my own boat at the age of 16. Never give up no matter how many setbacks you suffer. Selected for his first ever national squad. Competed for the first time at a national event.